The Nest at Finch Rest: Pink Around Nest & WINNER! to pick pink bits to share with you. I found this little pitcher set on a thrifting outing the other day. is always a welcome sight around here! from the 2 weeks of high temps, finally. Every garden spot needs some colour! by keeping them under the porch roof, at least. 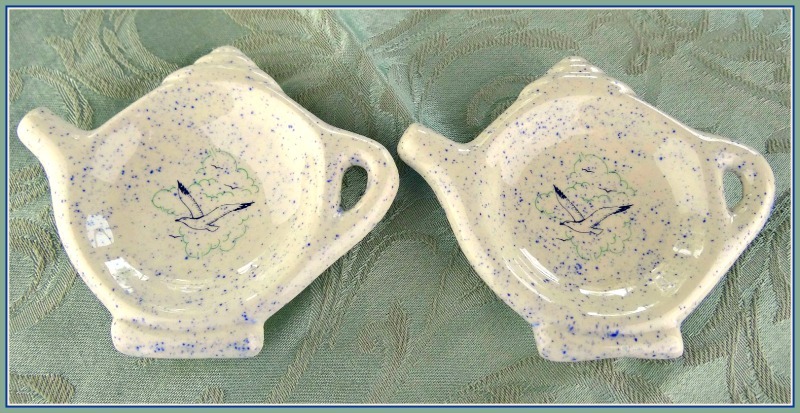 for my 2 teabag holders giveaway! Thanks for all who commented & entered the drawing! Your visits and comments mean the world to me! Pretty Pinks. Love the teapot and congratulations to Kerin! Congrats to Kerin! I LOVE the teapot! How cute is that!!! Congratulations to Kerin! Your teapot is sooo cute! 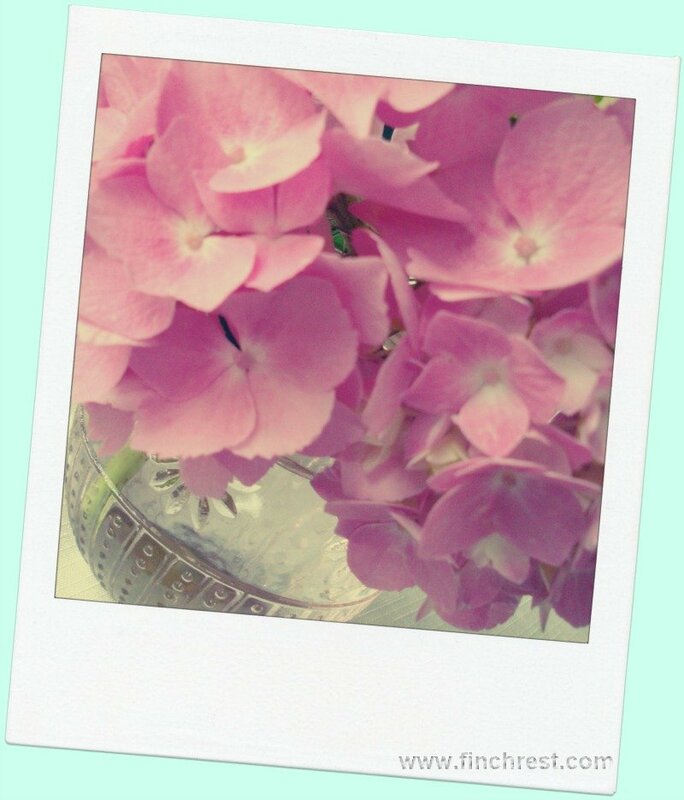 Thanks for sharing your wonderful pinks and for stopping by to see mine. Enjoy your weeknd, my friend. How beautiful! Visiting from Pink Saturday. What a lucky winner. I have never seen a tea pot like the sofa. That is just the best. Such pretty pink additions to your home. The little pitcher is so cute! Happy Pink Saturday. Thank you for commenting on my doggie bag post, so glad to visit you and see all of your pinks, your impatience are beautiful, in the heat I find that I have to water them more than once a day!!! Congratulations to your winner! Beautiful pinks for today and I love your fuchsia impatiens. Mine have stopped blooming and I wish now, that I had kept them under my porch. Happy Pink Saturday. Lovely pics, and I was espec. impressed with working sofa teapot! 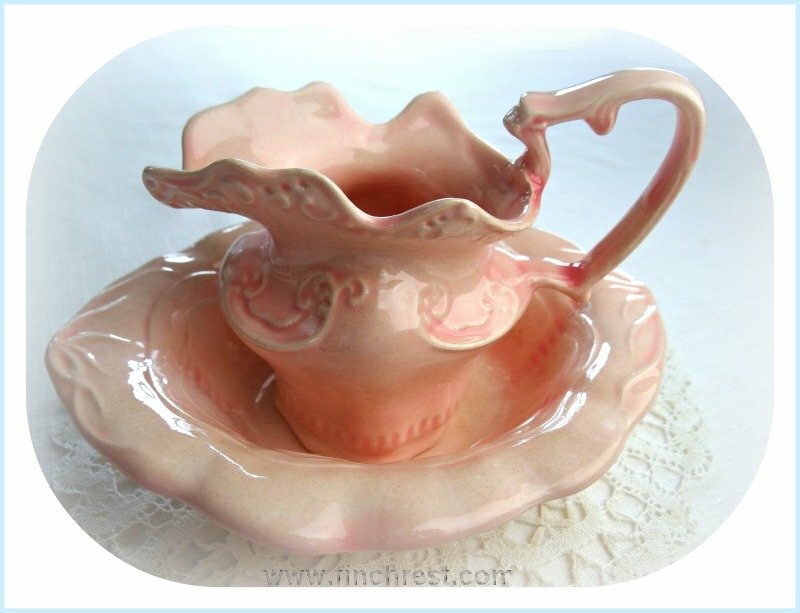 That pink pitcher set makes me swoon! My mom had that same teapot. You found some delightful treasures. Beautiful pinks Michele. Pink is such a sweet color and so feminine. Your impatients are so bright and colorful, wish they were on my porch. I love pink too and that pink pitcher is adorable, I've never seen anything like it before. Your blog is so lovely with all the pretty tea cups and things. And looking at that zucchini bread is killin' me lol, I better get me something to eat! 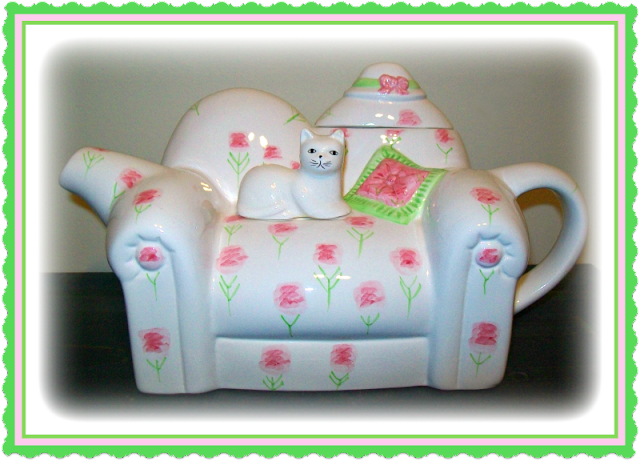 Precious teapot with kitty on top! HPS! What a pretty teapot and your flowers are so lovely. Happy Pink Saturday! Have a wonderful weekend. 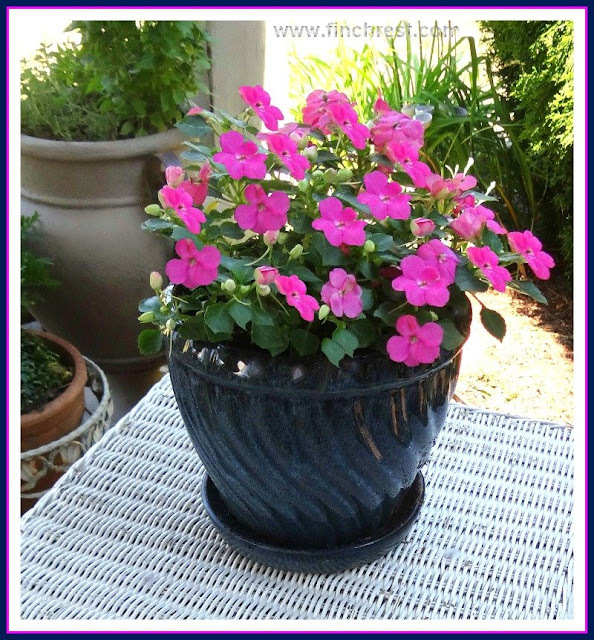 Your impatiens looks incredible. Mine haven't had a bloom for weeks even though I have been watering. I might have to add some Miracle Grow or something. Happy Sunday! So beautiful and so cute! How wonderful to win those darling little plates. I love your pictures, and everything is so charming! !